Despite many warnings and protests that the Declaration about the initiative to BiH Constitutional court for the assessment of the constitutionality of January 9 as RS National Day disregards the Constitutional Court, RS national Assembly (RSNA) adopted it on the session on Friday. RSNA MPs discussed on this declaration for two days and Friday was the “day for voting”. Declaration was adopted with a large majority and it is the first issue that has united all Serb delegates, from ruling coalition and opposition. In two days, from discussion to adoption, many international organisations warned MPs and demanded from them to refrain from its adoption. The Declaration says that RSNA will not abolish the National Day in the occasion that the Constitutional Court of Bosnia and Herzegovina issues a decision declaring certain provisions of the Srpska Holidays Act unconstitutional. “RSNA believes that the BiH Constitutional Court contesting certain provisions of the RS Holidays Act is just a political, not legally grounded action whose hidden goal is to deny the legality and legitimacy of Republika Srpska and the Dayton Agreement-based constitutional structure of BiH. The Srpska holidays are grounded on the principle of non-discrimination and do not pose a threat to the ethnic or religious identity or equality of any of the three constitutive peoples, and are compatible with universal values, European standards and experiences. It is unacceptable to consider, while reviewing the constitutionality of certain provisions of the Act, the political and historic events because of which January 9 was declared the Republic Day”, reads the Declaration. Bosniak member of BiH Presidency, Bakir Izetbegovic, who submitted the initiative to the BiH Constitutional Court, said on Friday to the media that RS National day must be recognized by all people, regardless of nation, who live in RS, but that January 9 is not that date. “On that day of 1992 Serb MPs in BiH Assembly decided to separate from the others, Bosniaks and Croats. I think that today RSNA with the Declaration acts wrongfully by putting pressure on the Court, by rejecting the Court’s decision in advance. The Constitutional Court is the institution established according to Dayton Peace Agreement and its decisions are binding”, Izetbegovic said to the media. Still, there is no reaction from the Office of the High Representative in BiH, European union delegation in BiH and US Embassy in Sarajevo, which demanded from RSNA not to adopt this controversial Declaration. 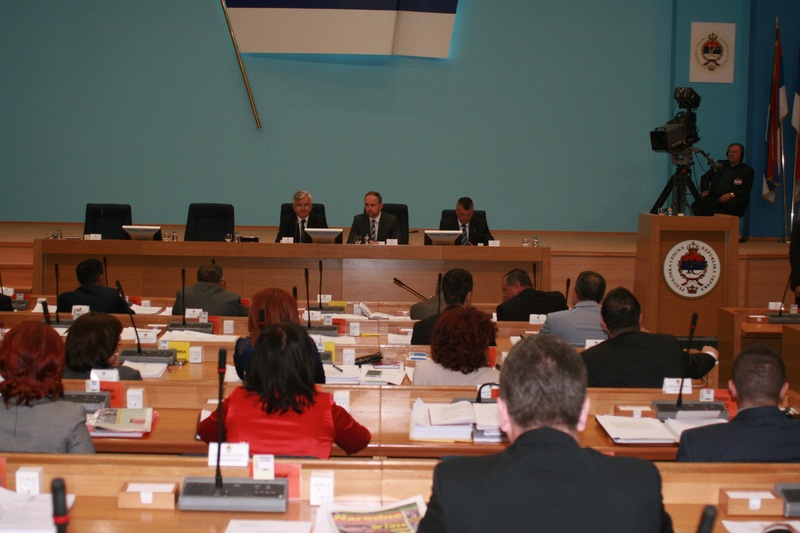 The Constitutional Court will rule on Izetbegovic’s initiative in May.